Flyingsub_03 (version 2. 5 Includes Model) (from The T. v. Series Voyage To The Bottom Of The Sea) For Fs2002and Fs2004. Updates Are Included In This Complete Package. questions, comments, complaints, praises, and Modifications Please Contact Me At Aceronzo_at_sbcgloba l. net A Work In Progress (comments, suggestions Always Welcome Anytime). (see Readme And Readmeupdate). 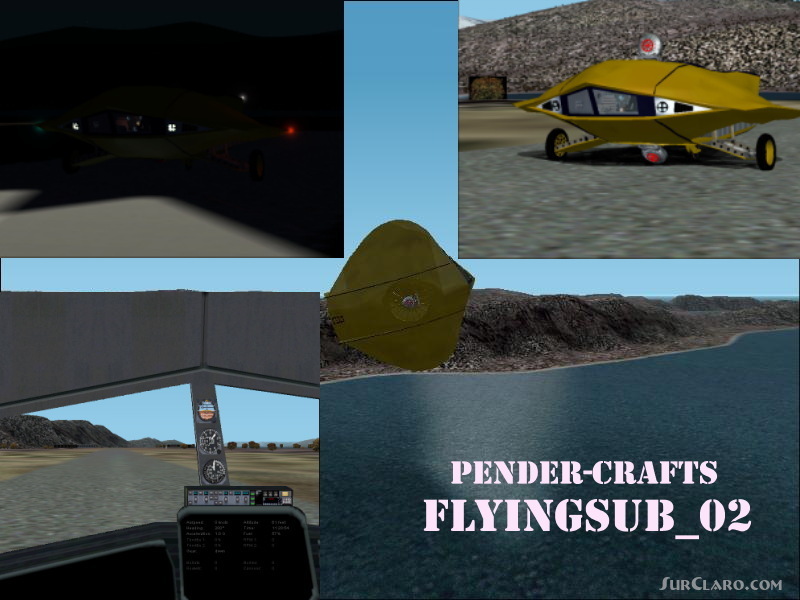 Flyingsub_03 version 2.5 Includes Model T.v. Rating: 8.78 of 10 over a total of 9 reviews. Es un avi n curioso, pero tiene algunos fallos que desmerecen la calificaci n. El piloto autom tico no funciona bien, y se podr an mejorar al gunas cosas del conjunto. flyes great but needs some work with the auto pilot.